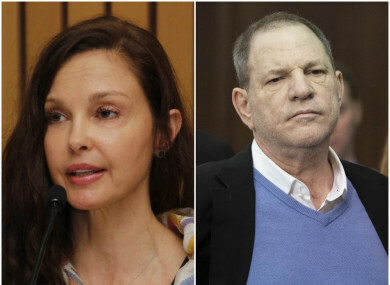 A LOS ANGELES court has dismissed actress Ashley Judd’s sexual harassment lawsuit against disgraced Hollywood producer Harvey Weinstein – but said she can move forward with allegations he defamed her and damaged her career. One of the first women to accuse him, Judd claims that in 1998, Weinstein defamed her and damaged her career by telling Lord of the Rings director Peter Jackson that she was a “nightmare” to work with. Gutierrez previously said in September that the law upon which Judd’s claim was based “has never before been applied to an employer’s sexual harassment of a prospective employee, and the court is not convinced that the statute was intended to cover such harassment”. Weinstein’s lawyers in July insisted Judd had struck a “deal” with Weinstein allowing him to touch her if she “won an Academy Award in one of his films”. Email “Court dismisses Ashley Judd's sexual harassment claim against Harvey Weinstein”. Feedback on “Court dismisses Ashley Judd's sexual harassment claim against Harvey Weinstein”.